and Navy Bean (pore minimizing), Rosemary & Peppermint (cooling & soothing) extracts! NO painful peel off (because I love my face enough not to do that)– just a smooth wash off. It feels & smells amazing! Your skin will love you!! 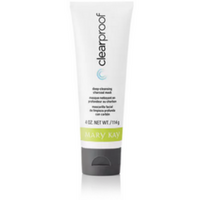 Deeply cleansing & Shine reducing, this pore unclogging detoxifier is great for men, women, boys & girls! ANNNNDDDD it’s already one of the top three masks according to Forbes. Plan on being one of the first to try the brand new Mary Kay Charcoal Mask this Friday! There will also be some amazing Mother’s Day gift ideas to make your mom feel special, amazing, loved! !